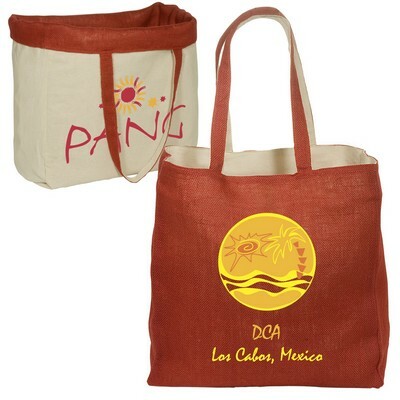 Reversible Jute/Cotton Tote is a trendy innovative bag with Cotton on one side and Jute on the other side. 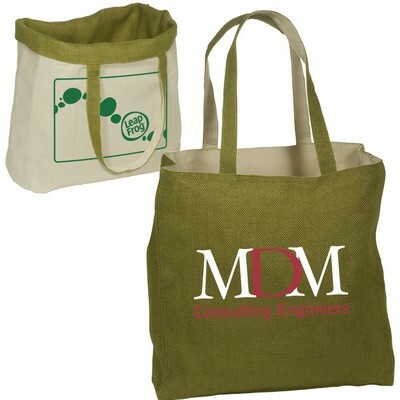 This Tote is reversible; both the sides can be used and are lined with Cotton and Jute on either side. 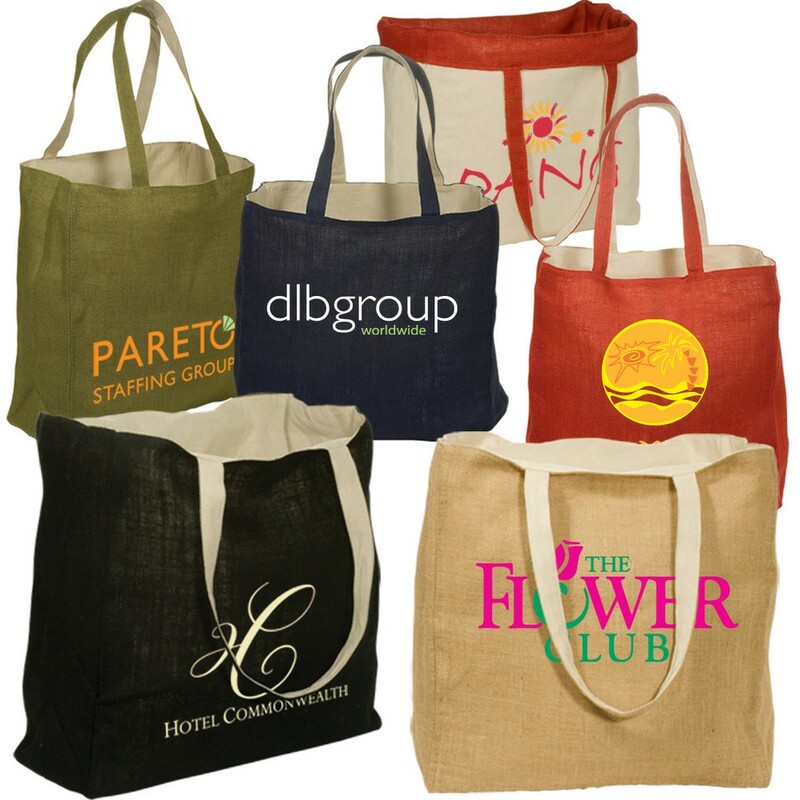 Reversible Jute/Cotton Tote is a trendy innovative bag with Cotton on one side and Jute on the other side. 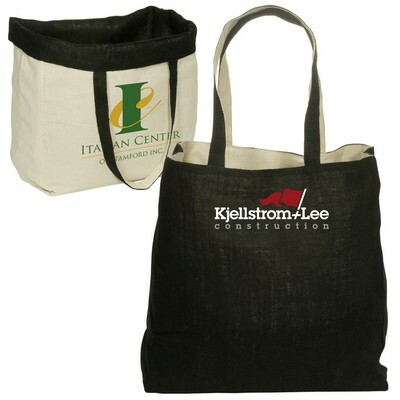 This Tote is reversible; both the sides can be used and are lined with Cotton and Jute on either side. 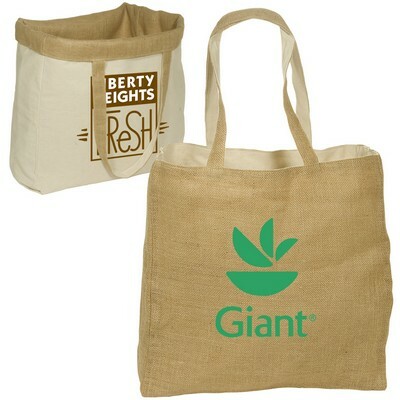 They are eco friendly and can be recycled. They are trendy environmental friendly bags to carry grocery, shopping items. 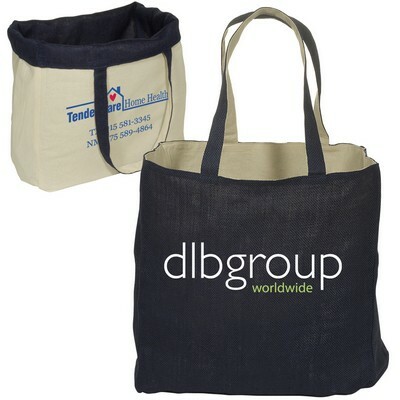 The Tote can be customized with your logo imprinted on either of the two sides.